As a dentist in New Braunfels, Tx, Dr. David Earnest and the team at Comal Dental are committed to helping patients from New Braunfels, TX and surrounding communities experience complete oral health at every age and stage of life. No matter the current state of your oral health, we can help you improve it with comprehensive general family dentistry treatments and more advanced restorative dental care. From children’s dentistry for the little ones to dental implant care for those in need of smile rehabilitation, Comal Dental is here, making sure our patients can find the dental care services they need. But we aren’t just here for your family’s oral health. We also offer cosmetic dental care if you’re looking to improve your appearance as well. 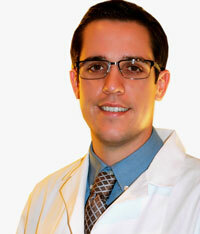 Comal Dental is a general family dentistry office. This means that our first priority is helping our patients avoid serious problems by providing complete preventive dental treatments. Dental checkups and cleanings, children’s dentistry, custom nightguards for protecting teeth from grinding, and other foundational dental care services help you and your family achieve lasting health. But family dentistry goes beyond general dental care treatments. In order to truly be here for your family, we offer orthodontics with ClearCorrect, sleep apnea therapy, and TMJ therapy, too. We offer a variety of services for you and your family, making us a clear choice for being your dentist in New Braunfels. All of our services will help you experience better oral health, but if you’re too anxious to visit our office, you won’t be able to enjoy the benefits of regular dental attention. That’s why we offer sedation dentistry! With sedation dentistry, patients who’ve been too nervous about visiting the dentist can comfortably visit Comal Dental. Dr. 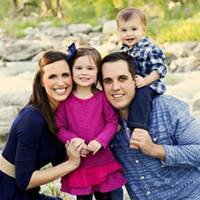 Earnest believes in a one-on-one, personalized approach as well, setting your mind at ease by developing a relationship with you that will last for years to come as your dentist in New Braunfels. Our office is a trusted source in the New Braunfels community for dental implants placement and restoration. Dental implants are the most advanced option for tooth replacement and smile rehabilitation, and as a dentist in New Braunfels, our office offers all phases of the treatment procedure. When your smile has been damaged for whatever reason – injury, decay, disease – you’ll find a compassionate team dedicated to addressing your oral health issues and helping you overcome them comfortably at Comal Dental. Located in New Braunfels, TX, Comal Dental is available to communities south of San Marcos, including Northcliff and Seguin, to help patients who are looking for a truly comprehensive dental care experience. To make an appointment for a dental checkup, dental implants consultation, cosmetic dentistry conversation, or to discuss any of our other dental services, contact us!